Facebook messenger is the top free application on Google Play with over half a billion download. People prefer to use this messenger to communicate with their friends and love ones because most of them using Facebook. Facebook is also offered for free in some places, including the Philippines through the internet.org program authored by Facebook founder Mark Zuckerburg. Which makes it very convenient and economical because you don’t need to buy load to send message. 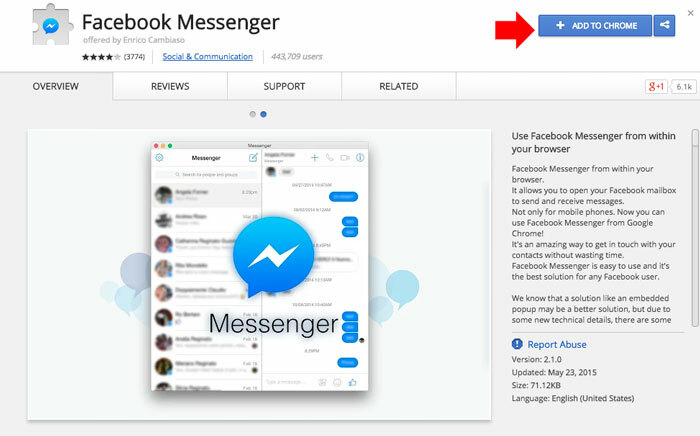 Facebook Messenger is a perfect app for smartphones and tablet, if you’re using a laptop or desktop, you can also add to your browser that will notify you when you are browsing even your Facebook account is not login. By adding a free extension or add-ons in your browser and logging in using your Facebook account, you can access Facebook Messenger anytime while browsing the web without opening your Facebook Profile. Updates: Facebook Messenger chrome extension is no longer available right now, you may use Blue Messenger instead, the installation is the same. 1. While using Google Chrome, go to this link, you will arrive to page like on the screenshot, click the “Add to chrome” button. 2. 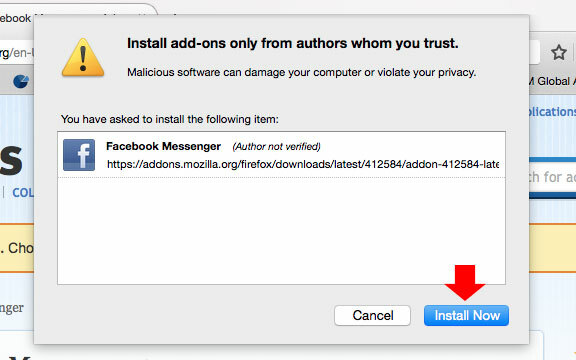 On the small popup window, click add to add the FB messenger on your Google Chrome browser. 3. 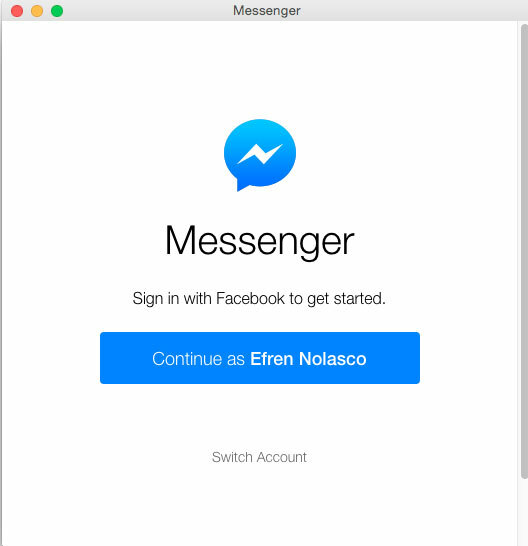 After adding the extension on your browser, you will notice the FB messenger is added to the browser, click on the icon to login to your Facebook account and start using. 4. If you’re still logged in to Facebook you can click Continue to your account, it will notify you every time there’s a message. 1. 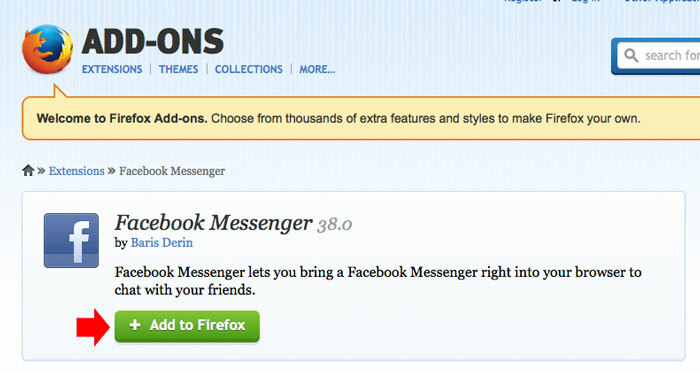 On your Mozilla Firefox browser, go to this link, this is the Facebook messenger add-ons page, click “Add to Firefox” button. 2. Wait until the download finish, then click “Install Now” button to install the add-ons. 3. You need to restart the browser to take effect the new add-ons. 4. After you restart you will see the Facebook Icon on your Firefox browser toolbar, click on the icon to log in and start using messenger on your Firefox browser.